Dr. Karsten Mause is Assistant Professor of Political Economy in the Department of Political Science at the University of Muenster (Germany), and Research Affiliate of the DFG-funded Research Center “Transformations of the State” (SFB 597) at the University of Bremen. He received an M.A. in Political Science and a Ph.D. in Economics from the University of Marburg. His current research interests include the political economy of fiscal policy and the new political economy of politicians, bureaucrats, and interest groups. His research has been published in journals including the American Journal of Economics & Sociology, Constitutional Political Economy, European Journal of Law & Economics, German Politics, Journal of Legislative Studies, Parliamentary Affairs, and other academic outlets. 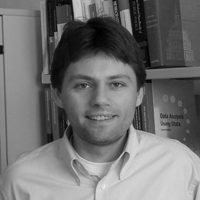 During his DAAD/AICGS Fellowship in February/March 2013, Dr. Mause worked on a research project entitled “Citizens’ Attitudes Toward Public Debt: The United States of America and Europe Compared.” Interestingly, compared to the huge amount of expert advice on the public debt issue, there is relatively little research on the issue of what citizens around the world think about public debt. This project intends to contribute to this burgeoning research field by analyzing survey data and other sources providing information about the public debt preferences of citizens in the United States and the member states of the European Union. Are there cross-country differences regarding the extent to which citizens (dis)like governments that run further into public debt? Have citizens’ attitudes toward deficit spending changed in the past decades? Or is the vast public/political interest in the topic “public debt” just a crisis phenomenon? What Do Citizens in Europe and the United States Think About Fiscal Austerity?